I have been a loyal Grey’s Anatomy fan since the beginning. And the finales always leave me with tears, but this one fell short. I was hopeful when the episode started because we were given a short glimpse of George and Izzie. Thinking we were getting some flashbacks, I was excited. Flashback episodes never fail to get viewers nostalgic and get us loyal fans to remember the good ol’ glory days of our favorite shows. But – that didn’t happen. Instead, Shonda and the Grey’s team left us with some awkward dramatic acting (very disappointing McSteamy, very very disappointing) and a quick kill of one of the few likable characters left on this slowly flailing show. Shonda lost a lot of good ones over the years and we were left with a lot of characters we couldn’t care less about. Then she lost Lexie (Chyler Leigh) – whether she was fired or quit – we lost one of the few characters we even remotely liked. It’s a shame really. I miss those days of Grey’s where they started trends like “vajayjay” or Mc(nicknames). I miss scenes like Izzie curled up on the floor or Addison in the rain outside hers and Shepherd’s front door. Those days are long gone and this show has run its course. I do have to give it to Shonda for the few times I still felt connected with the show: Henry and Altman (which of course she had to break up because she just can’t stand happy people); Torres and Arizona; whatelsewhatelse…. To be honest, the only ones left in this show I feel are still relevant are Christina, Meredith (once in a while at least), Altman and Bailey (if she could only have those amazing preachy teachy scenes again like she had in her scenes with George). I can’t even say much about the relatively new characters like April and Jackson. 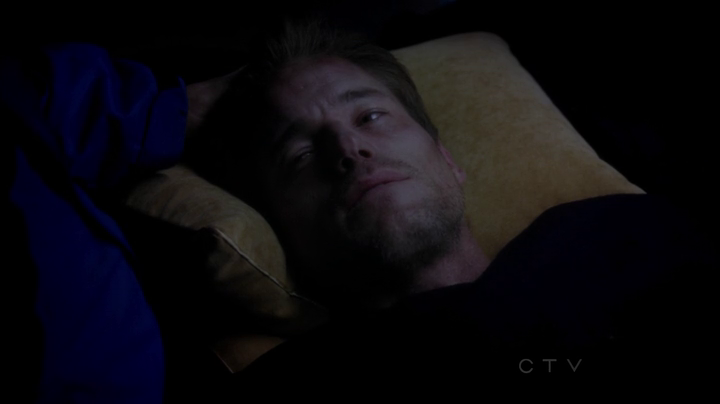 If anyone had to go, it should have been one of them…not Lexie, definitely not Lexie. I hate to say this but at this point, I am ready to say goodbye. Let it end while we still have the slightest of interests because if this goes on when we’ve all turned our backs to it, it will lose all hopes of becoming a show that we will carry on with us and think back on as that epic doctor show it used to be.